State Approved: Accredited by the International HACCP Alliance. A Certified Food Safety HACCP Manager should be able to perform the following functions: Conducting preliminary activities, conducing hazard analyses, establishing detailed control measures, conducting verification activities, conducting operational implementation activities, and conducting continuous improvement activities. The course first examines HACCP’s principles and concepts. The HACCP approach begins by identifying biological, chemical, and physical hazards (inputs to the system) associated with facility construction, equipment, employees, food and supplies. The course also examines the prerequisite processes (e.g., personnel hygiene and training; equipment and facility cleaning, sanitizing, and maintenance; receiving and storage); and for food processes (e.g., cooking, hot and cold holding, and cooling), this course presents scientifically validated hazard control procedures that prevent, eliminate, or reduce hazards to levels that protect public health. Finally, this course describes how HACCP is applied through Active Managerial Control (AMC) to establish a functional food safety management system. 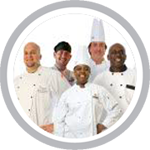 Connecticut food handler safety training is necessary for employees in the food service and hospitality industry. Connecticut food safety training is for employees (such as chefs, cooks, servers, preparers, vendors, caterers, supervisors and managers) who are involved in preparing, storing, or handling food that work in: (restaurants, bars, cafes, bakeries, delis, mobile food trucks, assisted-living, day care centers, and convenience stores). Connecticut requires each retail food establishment to have a person-in-charge, an owner, or manager of a food establishment be a Certified Food Manager (CFM) as outlined in the FDA Food Code by successfully passing an accredited ANSI food safety certification exam. 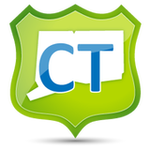 We offer online Food Safety Training in Connecticut for: Bridgeport, New Haven, Stamford, Hartford, Waterbury, Norwalk, Danbury, New Britain, West Hartford, Meriden, Bristol, West Haven, Stratford, Milford, East Hartford, Middletown, Greenwich, Mystic, Newtown, Bethel, South Windsor, and many more!